The Supreme Court on Tuesday screened former PML-N senator Nehal Hashmi's most recent 'inflammatory' speech — delivered right after he completed his one-month sentence for contempt of court — and ordered that he appear before the court in person on Wednesday. 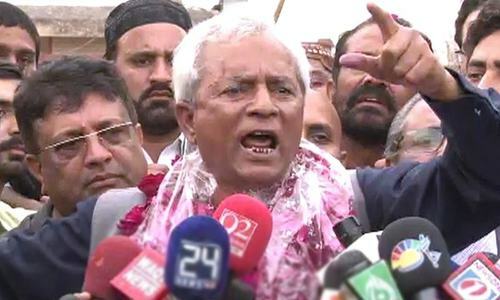 Nehal Hashmi, after his release from Adiala Jail, had declared himself "a victim of revenge". "This is the height of oppression," he had said. "Who are you holding accountable? And who are you anyway? I stand by what I said [earlier]," he had said. On being asked if he was "ashamed" of his threatening speech last year, which had landed him in jail in the first place, Hashmi declared that only a "fraud, thief or a person who took undue advantage of power would be embarrassed". On Tuesday, the court screened the recent speech while hearing Hashmi's appeal against the contempt sentence handed to him. Once the video had been played through, Hashmi's lawyer, Kamran Murtaza, sought to apologise on behalf of his client, but the bench said the matter would now be taken up in Hashmi's presence. The chief justice remarked that Hashmi had once again used objectionable language against judges after his release, to which Murtaza said Hashmi was "ashamed" of what he had said and asked that it not be quoted in the court's written order. However, the chief justice refused the request. Justice Azmat, in his remarks, observed that Hashmi seems to be toeing one line in the documents submitted to court, and another when he talks to media and makes speeches. 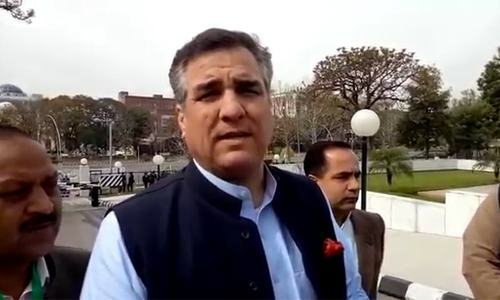 Hearing another contempt case, the Supreme Court decided to indict PML-N leader Daniyal Aziz on March 13, DawnNewsTV reported. The SC had served Aziz a contempt of court notice last month for an "anti-judiciary" speech he made. During the last hearing, Aziz had insisted that he had been misquoted by newspapers. Today, the court expressed dissatisfaction with Aziz's statement and remarked that, prima facie, his statements merit the registration of a contempt of court case against him. In his remarks, Justice Azmat recalled that he had been serving as a judge for the last 14 years, but had never during his tenure taken a contempt of court notice. "I have written in some of my rulings that fair and even unfair comments can be passed on the decisions," he said, before adding that he was now "fed up with all this [politicking]" on Panamagate. Advocate Ali Raza, who is representing Aziz, told the court that the content aired by DawnNewsTV in which Aziz allegedly made contemptuous remarks was from a private meeting. Talking about another video that ran on Neo News, he said that the judiciary had not been mentioned in that discussion. The hearing of the case will resume on March 13. Following last year's Panama Papers judgement in which Nawaz Sharif was disqualified, members of the ruling party, including Aziz — on a number of occasions — have launched unprecedented verbal attacks on the country’s judiciary, accusing it of having different standards for the former prime minister than for his opponents. On December 20, a few days after the SC had cleared Pakistan Tehreek-i-Insaf (PTI) chief Imran Khan in a disqualification case, Aziz, on the floor of the National Assembly, had recounted the entire history of the Panama Papers case and questioned the way the courts had conducted the matter. Stopping just short of blaming Nawaz's ouster in the Panama Papers case on a ‘grand conspiracy’, he had recalled how the Jamaat-i-Islami had filed a petition naming all 450 Pakistanis mentioned in the Panama Papers with the SC, which was declared frivolous and rejected. Now SC and CJ taking the matter at personal level! Good decision. Law be same for all. He is or supposed to be lawyer not so? grill him and put him in jail for at least one year for the disrespecting language he used against judiciary yet again. Hope this time he is sentenced one year for his recent outburst against the judiciary, he has not learnt a lesson in one month. Good. He needs some more treatment. Hashmi needs another bout of six months. What example is he setting to the younger generation. I guess be a brat. Send Nehal Hashmi in prison for a long time, so that he leans his lesson the way he wants! Sometimes, people have to be taught hard way like naughty children in a school. Ask him to look in the mirror! The dignity of the Judiciary must be upheld at all costs in this semi-civilized country. Catch all the thugs, and put them permanently behind bars. They came to power by achieving 32% of their vote to votes polled and 18% to the registered voters and become masters of 100% Pakistanis. Isn't it thought provoking for all Pakistanis? It's unbelievable the way he has ridiculed judiciary and used derogatory language against the sitting SC judges. He definitely deserves six months imprisonment. If he's a registered lawyer, his Advocacy licence must also be withdrawn by the relevant Bar Council. Do courts don’t have anything else to do? There are thousands of cases where if these courts spent the same energy, thousands of people would be able to get justice. How many can be silenced ? More will speak. Mr. Nehal Hashmi.again.attacks on Judiciary. This time the Apex court must teach him a unique lesson which he failed to learn from his previous conviction. He deserves no indulgence any more. Enough is Enough! Courts are the custodian of the constitution.Please apply the law for the betterment of nation and country for long term. What is the scale of measuring respect/disgrace? This is relative attribute of a person. Judiciary must define parameters to measure respect or levelof insolence. Everyday running after such gibberish does not suit to apex court. Shame on this kind of people, he proved that that he is like a tail of a dog, one could not do anything to him. He deserved for more severe punishment. Nehal Hashmi did not take any lesson from this simple punishment, he deserves 1 year in jail and life long ban. He is a poor Behari,easy target. What about Punjabi Tallal, Danial, Saad Rafiq and the Shareefs. Get him and get the other outspoken speakers too. They are getting bigger for their shoes as things stand. @nadeem Have you not read Nihal's post freedom speech? He has almost reached the point of no return. If he is let go, many others will start physically abusing judiciary. Some clever people talk in such a way that they circumvent the legal catches and still pass the message. It is the field of shrewd politicians who never get caught. 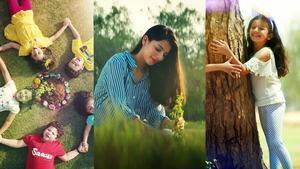 @nadeem - There is nothing "personal" about it. Abuse of judges not allowed anywhere in the world. We are no different ! Nawaz Sharif and his daughter Maryam are attacking the judiciary as a routine. Why only prosecute their cronies! @Pro Pakistani the others deserve it , in a way. why do not all come out to vote? and/or raise their voice where it needs to be? @Khalid Khan Please read the article one more time. Sorry.....In Pakistan rules for fools. Politicians are displaying arrogance of ignorance! No respect for rule of law! Mr. Hashmi was already punished for contempt of court. He just said he standby by his comments and for which he was already punished and can’t be punished twice for the same crime. How many people have been jailed for contempt of court in the past. "This is the height of oppression," he had said. "Who are you holding accountable? And who are you anyway? I stand by what I said [earlier]," he had said. That sounds vengeful and contemptuous. He needs to be Jailed for at least a year so that his arrogance is adjusted. 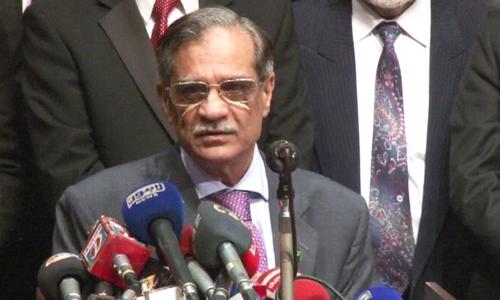 He threatened the judiciary and said he will make life hell for their children once they retire. This is classic vadera culture which obstructs justice because no one wants to harm his own family in serving justice to another. Very bad example and this guy needs strong punishment. He was released from jail and immediately appealed justices to throw him back in and supporters were cheering. Some people never learn. Every time this gentleman opens his mouth, he puts his foot in it. I say send him away for an extended period till he learns what to say and what not to say. This is carrying the concept of freedom of speech a tad too far. There need to be exemplary consequences. Dear moderator do you write comments yourself. You never publish my comments. What is your selection criteria. Sorry I can't sing IK praise as I have my own mind and views. CJP should make example out of these PMLN ministers rambling against the judges. Give them 5 years behind bars without parole and a hefty fine. And if that doesn’t teach them a lesson then a harsher punishment should be given. Enough is enough. This is election stunt. PML(N) is deliberately doing everything to become political martyr to grab sympathy vote. If court punishes him again, it is PMLN win and if not then justice looses. Wow, what a trap. These are bigger crooks then one can imagine. My golden saying "There are always ways to make people fool, and Pakistani people are even born to be foolish"
Nehal Hashmi should be banned from appearing on TV. PAMRA should be held accountable for allowing any content that is against the sovereignty of Pakistan, its courts and governmental departments. Nehal should be sent to jail for life and should me made an example for other corrupt mafia. An example must be made out of him. @nadeem As they say "If you think education is expensive, try ignorance".